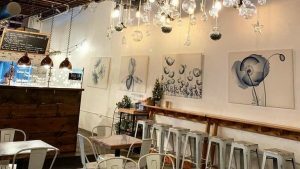 In the fast-paced neighborhood of Downtown Pittsburgh, Bae Bae’s Kitchen offers a quiet spot for guests to enjoy a delicious meal with friends, family, and coworkers. Open in 2017, Bae Bae’s Kitchen brings fast-casual Korean inspired cuisine to Liberty Avenue. Their work extends beyond serving their guests nutritious, and delicious foods, as they are also committed to supporting vibrant communities and a healthy environment in the Pittsburgh region. Because of this, Bae Bae’s Kitchen has earned a Silver designation with the Sustainable Pittsburgh Restaurant program. Owners, Ashley Bae and Edward Lai, serve a healthy menu that is prepared with seasonal, fresh, and local ingredients. “We are very proud of our space and the community we serve. All our food is made daily with love, which we gladly would feed our baby as well as all our family and friends.” explains Lai. Bae Bae’s menu offers something for everyone. Their customizable menu allows diners to choose a base of rice, noodles, or salad—add chicken, steak, or tofu, and finish the meal off with a side of kimchi or vegetable tempura. Don’t forget to wash it all down with one of their six tasty flavors of Boba Tea. The Silver designated Bae Bae’s Kitchen practices many different sustainable actions, but among their most notable is their effort to source local, quality foods. Almost all of their meat and produce is from the Pittsburgh region and well over half of what they serve is organic or naturally grown. Not only do these efforts stimulate the local economy, but these quality ingredients produce tastier and more nutritious meals for guests. 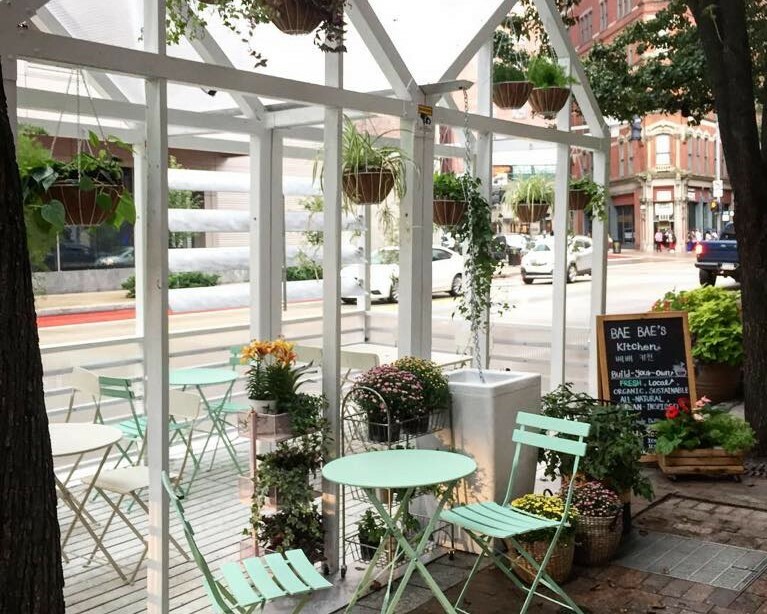 As a part of Pittsburgh’s Spark Program, Bae Bae’s Kitchen brought a unique greenhouse shelter/seating area to the Liberty Avenue busway—where they are growing herbs, collecting rain water, and monitoring air quality. 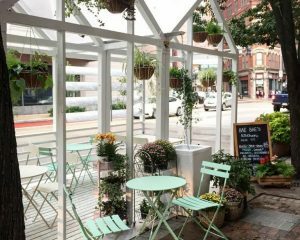 For more information about their sustainability efforts, you can view the Bae Bae’s Kitchen Sustainable Pittsburgh Restaurant profile and read their complete designation report. Interested in visiting Bae Bae’s Kitchen? Swing by 951 Liberty Avenue in downtown Pittsburgh. They are open from 11:30am to 8pm Monday through Friday, 12pm to 8pm on Saturday, and 12pm to 3pm on Sunday.